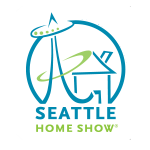 Seattle Home Show is among the largest consumer home show featuring remodeling houses and interior designers. This is an excellent event for real estate agencies to remodel their properties and market them. The event allows visitors to connect and network with top most building, remodeling and design professionals. The event includes seminars based on latest trends and technologies to remodel your house and it also includes the types of accessories and furniture that goes well with your house. Visitors can clear their queries by discussing their issues with the professionals and find professional employees who are willing to remodel their properties at an economic cost. This is a must attend for all interior designers and remodeling agencies. Had a great experience! The turnout wasn't as expected from attending prior years, however, we understood. All together it was a good networking event and we met with great industry contacts! Thanks Seattle Home Show, we will be exhibiting next year! I think I would get more out of it if the booth sections were divided up into categories. So, one section of the show would be new structures (mini cabins, sheds, tiny homes). Another section is all about redesigning kitchen and baths. Etc. The attendance was not as high as we thought it would be, but the number of serious shoppers were higher than we expected. I was able to gather information for an upcoming project. Profile for exhibit include Decorative greenery, Equipment for gardens, Hand and motor garden tools, Machines for grassland maintenance, Biological and chemical products, Glasshouses and equipment, Lighting and hydrotechnology, Construction elements for the garden, Flower growing requisites, Equipment for parks, children's playgrounds and kindergartens, Bee-keeping, Mushroom growing, Medical plants and macrobiotics etc.